Canadian interior designer, Sarah Richardson took over as Home Design Director at Good Housekeeping Magazine earlier in 2014 and together with Editor-In-Chief, Jane Francisco (former Editor-in-Chief for Chatelaine), they are bringing a fresh look to an American institution. When we saw this cool headboard decorating trick in the home section of their January '15 issue we had to take a closer look! They took a beautiful marble-style decorative wrap/craft paper and decoupaged it an unfinished door. Clever and so luxe! The January issue also has two other DIY headboard ideas in the article 'Make Over Your Bedroom'; below is a peek of the other two —one using a bamboo pole and a rug, the other using decals. All three projects (which they say can be finished in less than an hour) are now online with all the instructions on goodhouskeeping.com—click here for the direct link. There are heaps of other home decor projects in the January issue. You can also grab a digital copy of Good Housekeeping by clicking here. 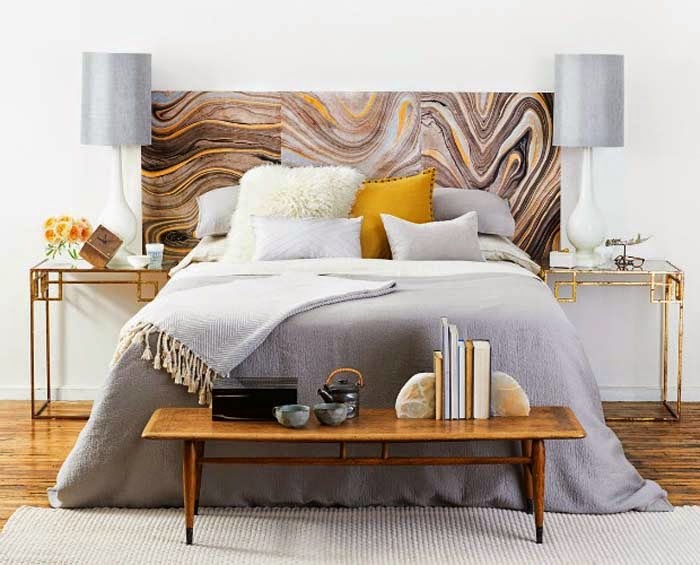 In love with the marble headboard! I had to pin it to possibly figure out a DIY situation. 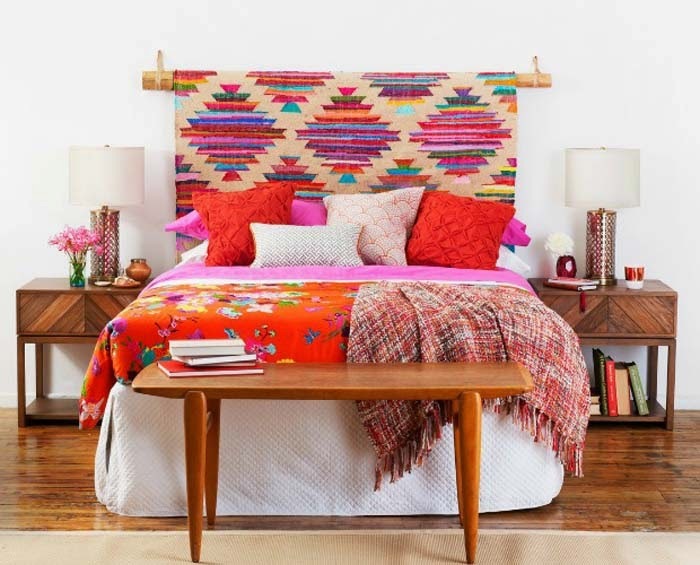 Those benches at the foot of the bed are great, and I love the textiles in the third photo! I love these headboards. I've been saying I'm going to make one for years now. I just need to get on it!